The quality of our service and products is recognised by achieving the Management System Certificate PN-EN ISO 9001:2008 in 2013, which has been updated to the latest PN-EN-ISO 9001:2015 in 2018. 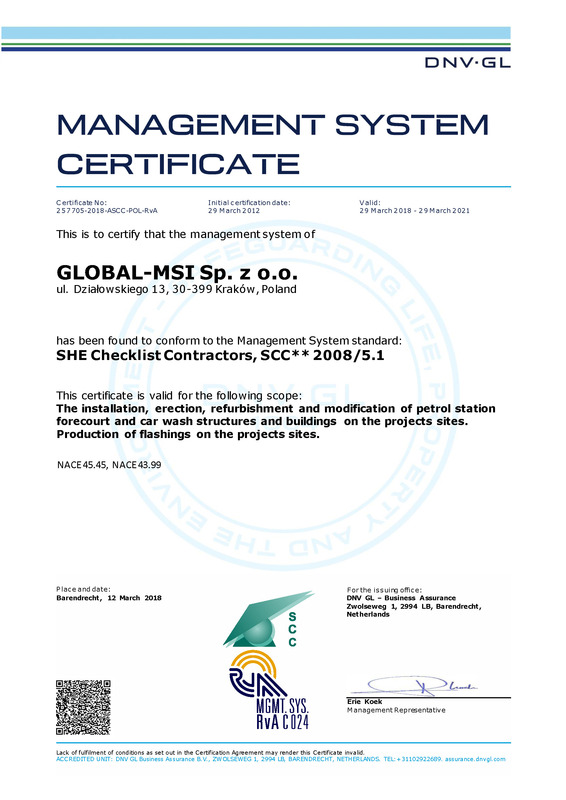 Additionally Global-MSI assures its’ Customers that work on construction projects is carried out in a manner that protects the health and safety of workers, as proven by achieving a Management System Certificate SHE Checklist Contractors, SCC*2008/5.1 in 2011. The above mentioned certificates are issued by DNV GL Business Assurance B.V. The overall objective of Global-MSI Sp. z o.o. is to remain a customer oriented organization. Happy and satisfied customers are a key element of the company’s strategy and a guarantee of its future success. By striving to ensure that our services meet the needs and expectations of our customers, we are constantly improving our procedures so that they are more effective, efficient and flexible, and we ensure safety for our employees and customers. 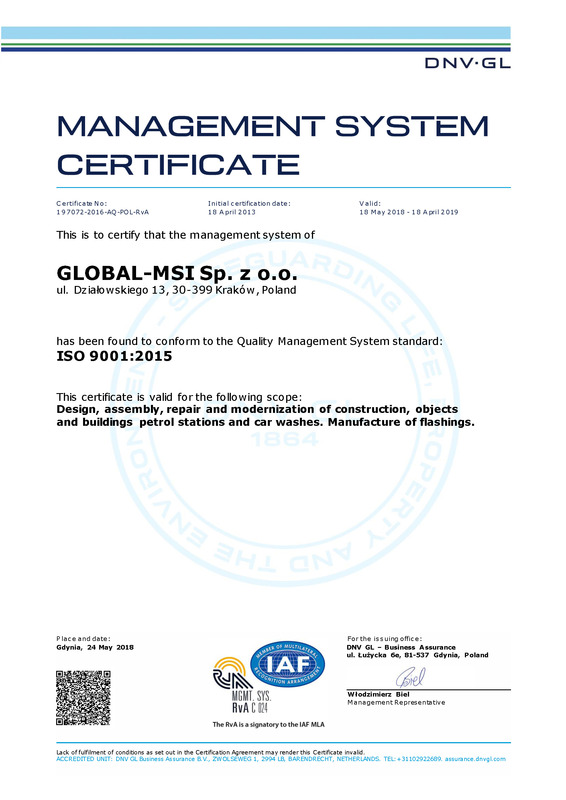 The Global-MSI board has undertaken to meet the requirements of ISO 9001:2015 and SCC*2008/5.1 as well as a constant improvement of the Integrated Management System by raising qualifications of employees and infrastructure improvements that drive quality.